Batteries come in many different shapes and sizes, and they are either single use or rechargeable. 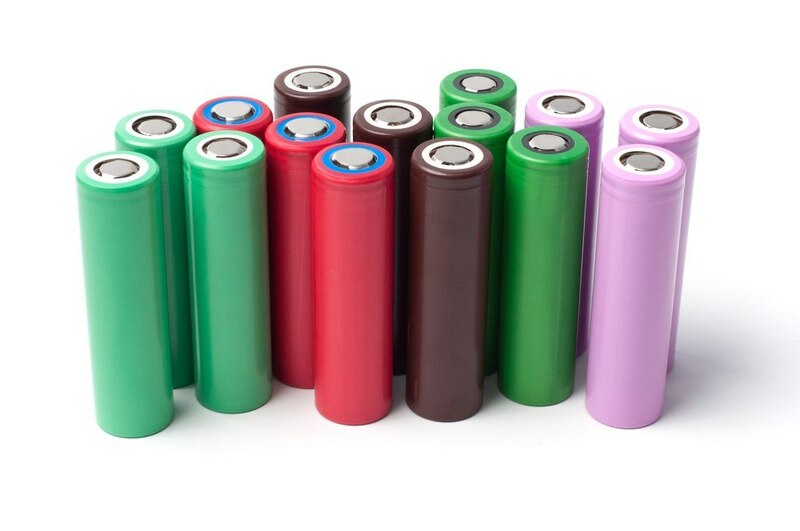 18650 batteries are lithium ion batteries that fall on the rechargeable category. They get their name from dimensions, which is 18mm in diameter and 65mm in length. Like any rechargeable battery, you will need the best charger to keep them in top shape. 18650 batteries have a lot of advantages over standard non-rechargeable batteries. First of all, they are economical and eco-friendly. Rather than throwing batteries out after they're drained, you can recharge them for next use. They are also powerful, offering a higher voltage and high discharge rate. The downside is that they have a higher self-discharge rate compared to standard non-rechargeables. This means that even if they are unused, they still discharge. You wouldn't want to wait too long for batteries to charge. That can be very inconvenient and frustrating. 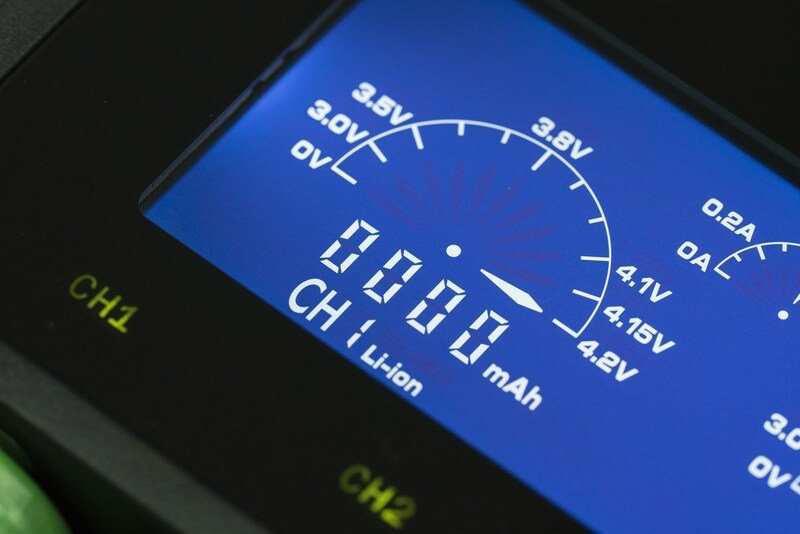 When selecting a battery charger, take a look at the amp draw. The higher it is, the faster it will charge the batteries, and the better it usually is. 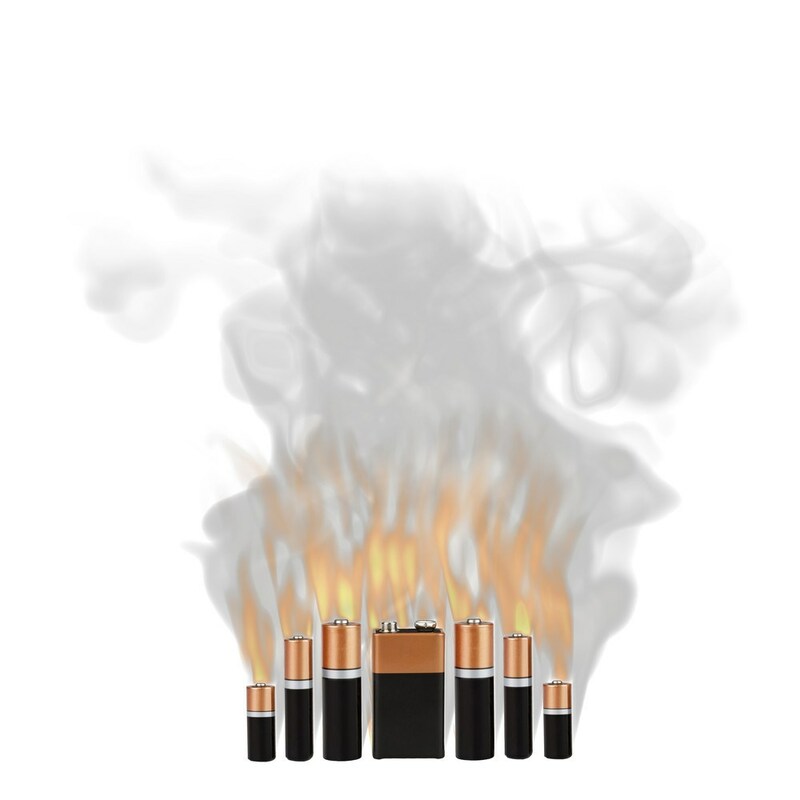 Safety is a crucial factor to consider because batteries can overcharge, explode, or cause a fire. You want your charger to have features that can prevent these things from happening, like an automatic shut off when the battery is charged. The charger should get your 18650 batteries to no more than 4.2 volts. Overcharging is safe and not good for the batteries life either. Do you want USB enabled chargers? Car charging? Do you want a display that shows the details? Most chargers are alike regarding the loading rate and safety features but differ in details like display and outputs. There's a lot of brands of chargers out there, but only a few have gained the trust of consumers. In the charger world, the names to look out for are EBL, Nitecore, and Xtra. A typical 18650 battery is good for about 500 cycles of recharging. Keep in mind that the older the battery gets, the shorter the lifespan of a single charge will get. Don't use batteries that have rust or other signs of corrosion on it. If the batteries give off an unusual odor, get rid of them. Do not use them anymore. If the batteries are very hot, do not use them. You can allow it to cool, but when it gets too hot, they might not be good anymore. When in doubt, it's better to throw it out. Do not store batteries in direct sunlight or high temperatures. Too cold or too hot temperatures stresses the cells. Store batteries in a cool and dry place. When the battery is below 50%, you can recharge it already. Don't wait for it to reach critical levels or to drain thoroughly. Try not to go beyond 1amp when charging. Too high charging rates may reduce the load time, but it can cause overheating and reduce the years of the batteries. Batteries and chargers vary widely per manufacturer so make sure you take note of their recommendations. 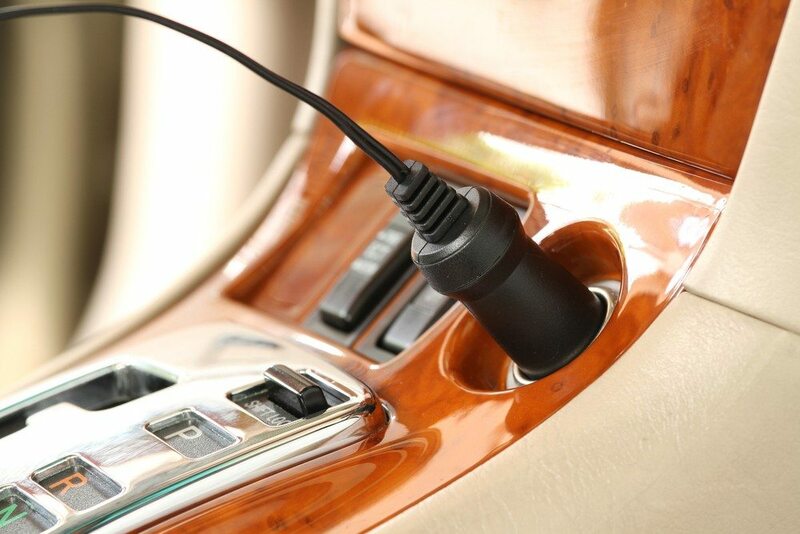 For chargers, read the manual for specific instructions and safety tips. Avoid overnight charging and leaving the battery charging unattended. Nitecore chargers have always been one of the top chargers in the market, and the latest 2016 version of the i4 Intellicharger is even better than before. It accepts Li-ion, Ni-MH, and Ni-Cd rechargeable batteries, from sizes 10340 to 26650. It's also compatible with batteries with 3.7V and 4.35V. With this charger being compatible with almost all kinds of rechargeable batteries, you won't need multiple ones anymore. The i4 has four battery slots capable of charging simultaneously. If you only want two slots for some reason, there's also the i2. Each battery slot on the new i4 can charge up at a rate of up to 1.5A, which is double the rate of the older version. It also features Active Current Distribution Technology, which means it can identify when a battery is full so that it can divert the output power to another slot. Finally, this charger is easy and very safe to use. It automatically detects the battery type and selects the appropriate charge mode. It also has an automatic stop when batteries are full. To ensure safety and keep batteries in top shape, it has an Automatic Intelligent Temperature Control and Protection. This feature prevents overheating and makes sure batteries are charging safely. Compatible with almost all kinds of rechargeable batteries. All four slots can charge simultaneously. Easy to adjustable metal sliders. Intelligent features that automatically selects charge mode, charging current and voltage. The display is not as easy to understand and not as informative as other displays. It has lights to represent the rate and battery life. Xtar Company is just a little over a decade old and Li-ion batteries, and smart chargers are their specialties. The VC4 from the USB LCD series is a admired by vape users and flashlight users. It is compatible with Ni-MH and Li-ion batteries and can display or charge them at simultaneously. The tachometer style display is what makes this charger stand out. The screen will show the charging current, voltage and the charge capacity. The tachometer style display is really what makes this charger stand out. It will automatically detect and adjust the current from 0.1A to 1.0A and will show you the capacity charging the batteries. Two slots have a maximum of 1.0A output, and the other two have a maximum of 0.5A output. Of course, it also has the safety features that will prevent overheating. The charger has a temperature monitoring feature that keeps batteries cool and not over 15 degrees Celsius. The charger will automatically stop charging when batteries are full. This provides you with worry free charging. It monitors battery temperatures and prevents overheating. The display is very to read and shows you everything you need to know about the charge status. Another 18650 battery charger to look out for is the Eastshine S2 Speedy Smart Charger. Being a smart charger, it can detect battery status, select the appropriate charge mode, and turn off when batteries are full. It comes with an LCD that will show each slot's voltage, type, charging current and time. It also has overcharge prevention and temperature monitoring to prevent damage to the batteries. The charger comes with one wall power cord, one car power cord, and a user manual. The company offers 30 days free refund, two years free replacement, and lifetime maintenance services. Easy to read display showing charge progress. Speedy charging at 1.0A each slot. It does not have a USB plug in. The Efest LUC V4 LCD and USB Charger is another great option to look into. It's a four bay smart charger with a USB out. They battery slots are compatible with many sizes, from 10440 to 26650, for either Li-Mn batteries or Li-ion batteries. The charger features protection from over-discharging, over-voltage, short circuit, and reverse polarity. This charger will also automatically detect battery status and will choose the right charging mode for it. There are three charging modes: 0.5A, 1.0A, and 2.0A. With the 2.0A, you can only charge two batteries at a time, but the other modes can charge four batteries simultaneously. One of the unique features of this charger is that you can use it as a power bank for cell phones or other devices with USB output. There is also a two-bay version of this charger. Very safe, with four kinds of protective features. You can use it as a power bank to charge your phone, and other USB-enabled devices. It can go up to 20A for fast charging two batteries. The adjustable slides are not as smooth as other options, but still pretty good. The EBL Smart Battery Charger with iQUick technology is another great charger at a very affordable cost. It has a charging speed of up to 0.5A and has three charging modes: constant charge, constant charge voltage, and trickle charge. The display of this charger is very simple. It has LED light indicators to tell the charge status to tell if it is charging. For safety and to keep your batteries in excellent shape, it will automatically shut off when the battery is full. It also has areas for heat emission to prevent overheating. Even then, it’s still important that you don’t leave charging unattended. This EBL Smart Battery charger has a compact design, AC and DC plug, and supports global voltage (100-240V). It comes with an AC adapter and a user manual. The display is very basic. It doesn’t show a lot of useful information like the others on the list. 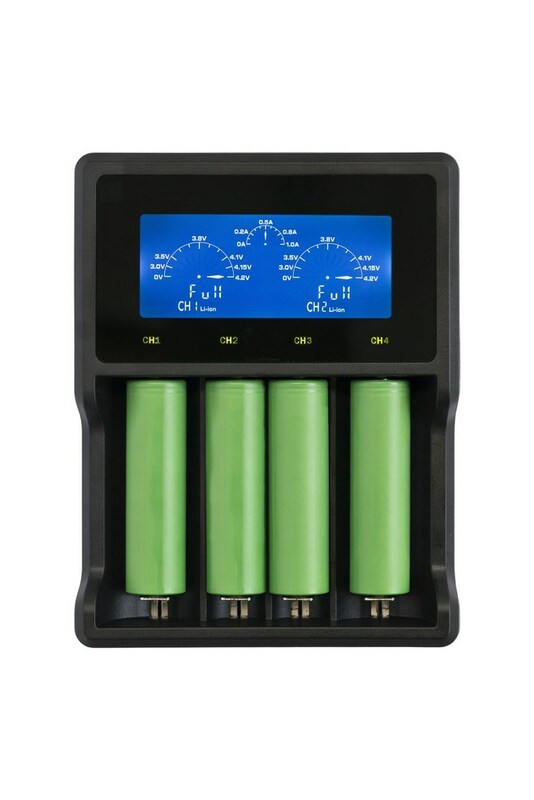 To get the best out of your rechargeable 18650 batteries, you will need the best battery charger as well. Aside from charging your batteries fast, it should also protect your batteries from overheating, overcharging, reverse polarity and short circuiting. Another thing a great charger will have is versatility. The best charger should eliminate the need for other chargers by being compatible with many kinds of batteries. Choosing a charger nowadays is highly dependent on preference. Most chargers have similar protective features and speed. The tiniest of details can make or break the charger. Do you want a small screen or large screen? Two or four battery slots?